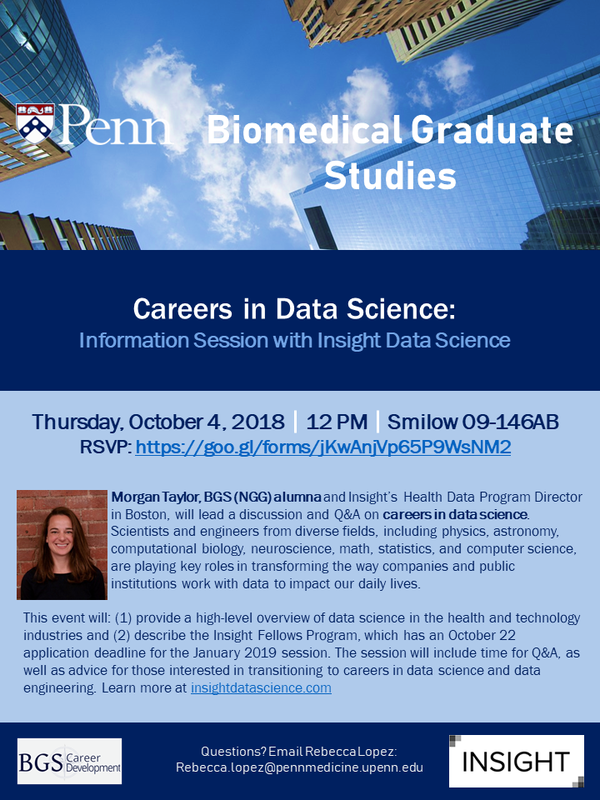 Please RSVP by Monday, October 1, 2018 to join BGS for an Information Session and Q&A with Morgan Taylor, BGS (NGG) alumna and Insight Data Science’s Health Data Program Director in Boston. Lunch will be served. Scientists and engineers from diverse fields, including physics, astronomy, computational biology, neuroscience, math, statistics, and computer science, are playing key roles in transforming the way companies and public institutions work with data to impact our daily lives. The Insight Data Science Fellows Program is an intensive, seven week postdoctoral training fellowship that bridges the gap between academic research and a career in data science. Based in Silicon Valley, New York, Boston, Seattle, and Toronto, the program enables scientists to learn the industry-specific skills through a project-based, industry-driven learning approach designed to train academics in many of the cutting edge data science tools and practices used in industry. There are now over 1500 Insight alumni working as data scientists and data engineers on top data-driven teams including Facebook, the New York Times, Netflix, Twitter, Bloomberg, Apple, LinkedIn, Memorial Sloan Kettering Cancer Center, Viacom, Enigma, Jet.com, and NBC, as well as at various well-funded startups. 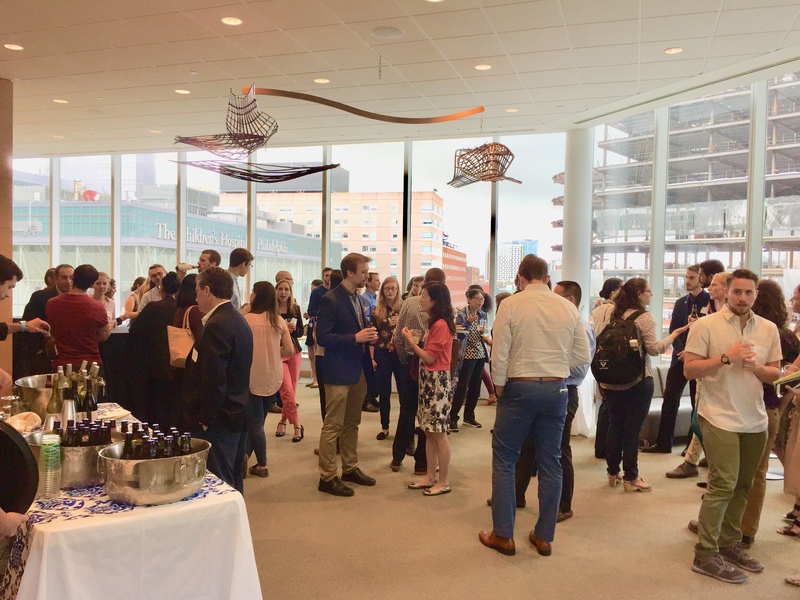 Join BGS Career Development on Wednesday, September 12, 2018 as we kick off our first networking event – a happy hour featuring alumni from Janssen Pharmaceuticals of Johnson & Johnson. 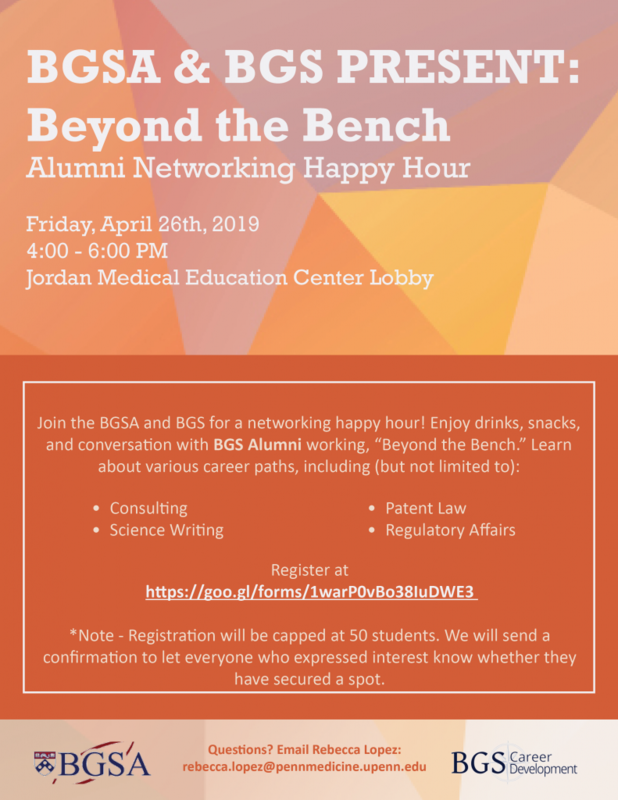 Enjoy beer, wine, and snacks as well as equally refreshing conversation with BGS alumni from Janssen. It will be a fantastic opportunity to learn about the diverse career paths offered by a leading pharmaceutical company, including: research, medical writing, regulatory affairs, and medical affairs. by September 4, 2018 to guarantee your spot!